Part #9751 SPX Power Team Hose, Polyurethane 0.25" Internal Dia, 100' Length. Made up of nylon core tube with polyester fiber reinforcement which will withstand the minimum SAE bend radius without shortening service life. These hoses last up to seven times longer than rubber hose, and are suitable for continuous service at temperatures from -40° to 150° F.
All 1/4" I.D. 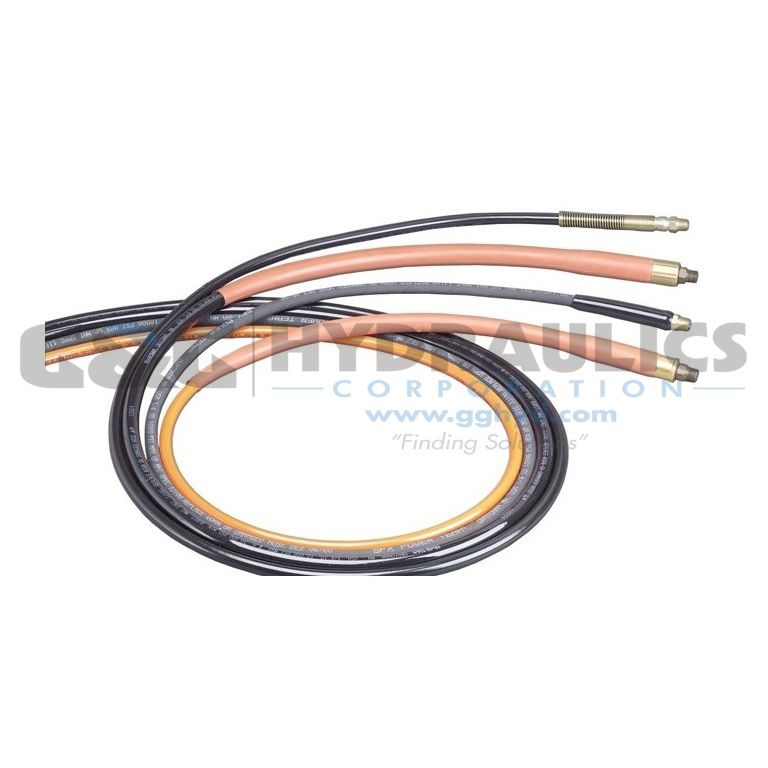 polyurethane hoses have spring guards. Operating pressure is 10,000 psi. All comply with MHI standard IJ100. INSPECT BEFORE AND AFTER EACH USE. REPLACE IF ANY SIGNS OF DEGRADATION OR WEAR THAT MAY AFFECT SAFETY OR PERFORMANCE. C2514C 51 sec. 14 sec. C556C 1 min., 30 sec. 24 sec. C5513C 4 min., 12 sec. 59 sec. C10010C 6 min., 56 sec. 1 min., 3 sec.